Ontogeny is a vital aspect of life history sometimes overlooked in palaeontological studies. However, the changing geometry of anatomical structures during growth can be informative regarding ecological and functional reconstructions. The inner ear, or labyrinth, is an ideal ontogenetic study system because it has a strong functional signal in its morphology that is linked to locomotor mode. Yet almost nothing is known about labyrinth development in dinosaurs. We quantified labyrinth scale and geometry through ontogeny in the Early Jurassic dinosaur Massospondylus carinatus, which has an exceptional fossil record and is hypothesized to have undergone a gait change, from quadrupedal juvenile to bipedal adult. 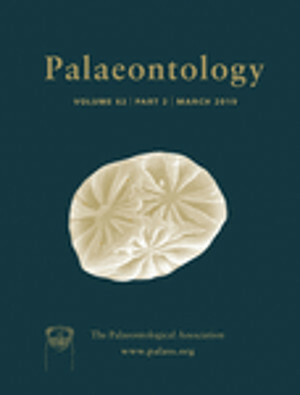 To test whether this putative locomotor shift is reflected in labyrinth morphology, computed microtomography (μCT) and propagation phase‐contrast synchrotron radiation microtomography (PPC‐SRμCT) were used to obtain labyrinths from eight specimens, ranging from near‐hatchling to adult. Labyrinths grow substantially but scale with slight negative allometry compared to skull length throughout ontogeny, the first time this has been documented in dinosaurs. Geometric morphometric analysis of the labyrinth using a sliding semilandmark approach shows some morphological change through ontogeny, but little evidence supporting a locomotor shift. These results have implications for our understanding of sauropodomorph development and provide a better understanding of dinosaur locomotory evolution.